To say that Jim Gorant has written a book about the Vick dogs is like saying Beethoven played the piano or Van Gogh painted. It doesn’t even begin to do justice to the book that is The Lost Dogs. Told in chronological order, the story begins from a dog’s point of view, before the investigation is even a blip on a radar screen. We see what the little brown dog sees, hear what she hears, and fear what she fears. As events begin to occur that cause people to wonder about the goings-on at Moonlight Road, the narration shifts to third-person, describing how the key players of the investigation became involved. For a third of the book, there is an interesting dichotomy created as every other chapter alternates between the dogs’ point of view and the investigators’. We are taken through the frustrations of the men and women trying to bring Vick to justice as local law enforcement and good old boy justice try to sweep the case under the rug. We celebrate as the federal government takes the case away from the local authorities. We dance when the decision is made to try to save the victims and the special team of experts is pulled together on a moment’s notice. We are at the shelter with the visiting evaluators while we are simultaneously locked in one of the kennels as Little Brown Dog, now “Sussex 2602,” waits nervously to see what all of the people are doing there. We’ve crisscrossed Virginia with the men who led the raids and the investigation as they collected evidence and distributed the dogs among local shelters, and we crisscross the state again with the rescuers as they evaluate every single dog and then continue to work with every dog to prevent them from going kennel crazy during their months-long stay. 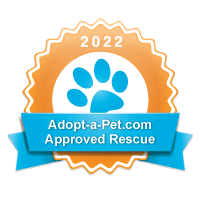 We even travel across the country a few times with the rescuers as they work to move the dogs from the local shelters to the rescues who will ultimately be responsible for the rehabilitation and placement of Sussex 2602 – now Sweet Jasmine – and her brothers and sisters. The final third of the book follows the very slow recovery process of 5 of the dogs. We experience every new sight and smell and noise with them, whether they embrace all of the newness along with their freedom or they’re terrified of everything including their own shadows. We feel the joys and the frustrations of their foster parents who are working with them around the clock. Progress when it comes takes weeks and months. For some, all hopes are dashed by several very cruel twists of fate. Indeed, there are dogs who are lost along the way. We grieve for them, for their newly reborn lives cut so tragically short, their blossoming potential just shy of being fulfilled. They will always hold a special place in the hearts of the people who worked tirelessly to save them and, thanks to Gorant, they will always hold a special place within the hearts of millions of readers as well. As a pit rescuer, this book served as a poignant reminder of why we do what we do. It re-lit the fires within our hearts and our bellies, to continue to fight for dogs who don’t want to be fighters themselves. Our inspiration and motivation has been renewed and there will undoubtedly be many changes within Puggles & Pitties as a result of this book. The Lost Dogs should be read by everyone across America. Regardless of your opinion of Vick, dog fighting, pit bulls, dogs in general, sports, celebrities, law enforcement, local and federal government…or even if you have no opinion about any of it. 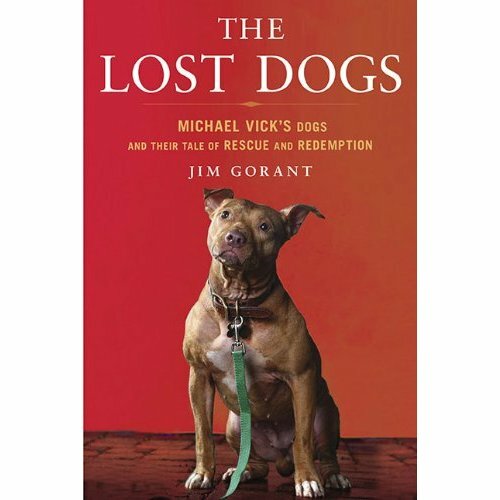 The Michael Vick dogfighting case was a landmark case in legal circles, it was historic in rescue circles, and Gorant’s book brings all of the social and legal significances together in a way that the layperson can understand, relate to, and learn from. The Lost Dogs is a beautiful tribute to the dogs who were able to rise above their beginnings and are now serving to rehabilitate humanity in so many ways. For more information, please visit www.thelostdogsbook.com.